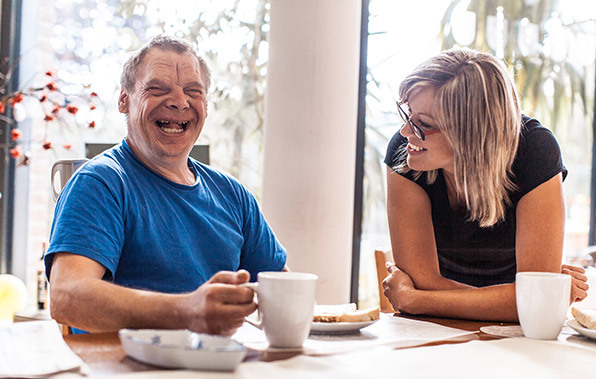 Our Day Training and Habilitation Program (DT&H) in Chisholm offers services to help teach our clients new skills, create lifelong friendships, enjoy activities in the community and gain independence. Through person-centered planning our program allows our nearly 80 clients to choose work areas according to their interests, strengths, and abilities. We offer center-based programs, community employment and work services including candle manufacturing, recycling, assisting in the kitchen, enclave work sites and/or recreational opportunities. Range Center, Inc.’s, DT&H also offers a chore services program during the summer. Clients can choose to participate in lawn care tasks such as lawn mowing, weed whacking and raking leaves for those in our community! With this program client’s learn valuable life skills and responsibility while getting out into the community.